At the Tenth Congress in March 1921 Lenin formulated the two principal lessons of Kronstadt. The first concerned the need to make concessions to the rural population: “Only an accommodation with the peasantry can save the socialist revolution in Russia.” The second lesson emphasized the need to step up the struggle against any vestiges of ideological opposition, including moderate socialists, anarchists, and others, and ensure that the opposition was effectively prevented from agitating among the masses. 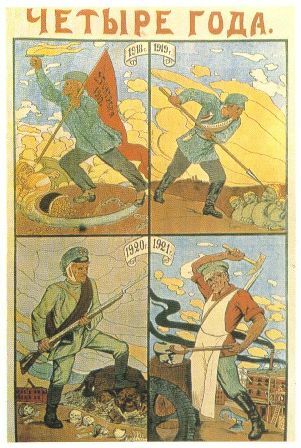 The adoption of Lenin’s strategy by the congress ushered in a period of several years (1921–28) of relatively peaceful development, known as the New Economic Policy (NEP). During this period the government sought to conduct its domestic policy along two not easily compatible directions. On the one hand, the economic policy was revised and the economy was freed from the total state regulation of war communism. On the other hand, no liberalization was permitted in the political sphere: all attempts to democratize society were relentlessly stamped out. The discrepancy between economic liberalization and political dictatorship constituted the main contradiction inherent in the NEP.